Learning the Art of Plastering from this site is still definitely possible. Would you like to plaster your own house? The benefits of actually being able to plaster mean you will be able to save a lot of money and obtain a great sense of achievement. Imagine standing back after just 2 hours work, to see a nicely smooth plastered wall, ready to paint - and think "I did that!" Outlay is minimal - the tools needed to start plastering can be obtained for under £50. Plastering a Ceiling - troweling. The benefits of actually being able to plaster mean you will be able to save a lot of money and obtain a great sense of achievement. Imagine standing back after just 1 or 2 hours work to see a nicely smooth plastered wall ready to paint and think "I did that!" Hi, I've skimmed a small plasterboard wall (1 x 2.2 m) and the plaster has crazed in places as it has dried. Small The pasteboard has been up for months. How to skim. Some DIY skills can be learnt from reading a book - plastering is probably not one of them You need someone to show you the basics, then much practice is needed. 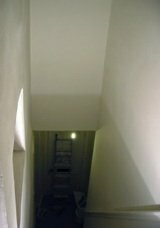 But it is possible to achieve successful plastering whilst practising -- just have a go at the small areas first. This clip is a very quick brief guide to the art of plastering. Learn how to skim a ceiling - the basic diy skills needed for skimming a ceiling. Plastering a ceiling is possible for a beginner - but it is important to have an understanding of the stages of skimming and how the trowel can work for you. Probably the best tip: is to not stand directly under your trowel, to avoid getting any plaster in your eye. Skimming over artex ceilings is possible - if not a bit harder due to the thickness that needs to be applied. Ceilings can be easier than walls - if you have a good scaffold due to being in a position to provide firm even pressure. The drawbacks - they tend to be larger areas, so think about refining your technique on a wall first. The video below shows how to plaster a ceiling. The method and process for Skimming over an old artex ceiling (with speeded up clips to save you getting bored!). A coat of PVA was applied to ensure the plaster adheres. This video shows the method of applying the finish coat to a ceiling - the plastering technique is the same as for a wall. Spending time to set up a platform for easy reach, or practice with stilts, will help ensure you stand every chance to gaining a nice flat finish. be prepared for your arm to ache but it will get easier! A personalised course really does ensure you learn everything you need to - easily and quickly in a relaxed environment. Should you wish to share the course with a friend then there is a small additional charge. All the basic skills are taught and practised whilst you plaster a wall at your own pace. The sense of achievement after plastering a wall to a professional standard, in just one day, will leave you full of enthusiasm. 'Skim a Wall' Course Everything you need to know to start skimming. 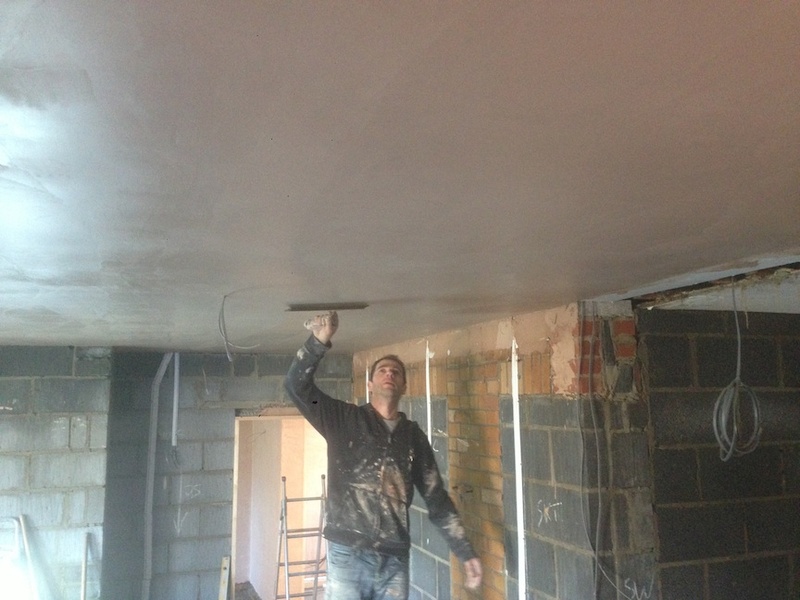 1 Day Plastering Course Covers Backing Coat (Dot & Dab plaster- boarding or solid backing render coat) & Skim Coat. 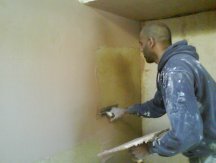 2 Day Plastering Course As 1 Day plus ceilings and more practice time to refine your technique. Learn plastering where and when you want. 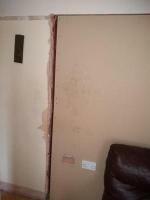 Learn from home with the DIY Plastering How to Plaster Guide. Plus free videos, information and frequently asked questions to help refine your skills or identify any problems. In 1 day you will have the basic knowledge and skills to be able to achieve a flat smooth professional finish on a small wall. Then with practice at home you will be able to plaster bigger walls successfully, however the key to success is to achieve good results whilst practicing - so that you can add value to your home. This is the aim of the plastering courses. The How to Plaster online guides and DVD can help you plaster successfully especially with the help of online support at any time. Have the 10 Golden Rules in front of you and you stand every chance of achieving a finish to be proud of. Support is given after the course, and with the online "How to Plaster' Guides, to ensure you can develop your skills further and take on new challenges. The DIY Plastering course will teach you how to apply a flat base coat and a skim finish to a professional standard.That is not to say you can be taught how to become a plasterer in just 1 day - but you can learn how to plaster to a good standard. The DIY Plastering course and online guides will teach you the basic skills of plastering, so that you can practice on your walls at home. The aim of the course and the guides is to ensure that whilst you are practising, a good standard is achieved so that you have a wall to be proud of - ready to accept a coat of paint. I bought the 'Plastering made seriously simple' DVD because I'd attended a short course at another establishment and was a little confused. I watched Paul's DVD and it finally made sense. The day after watching it I plastered a small bedroom with great results. If the DVD is this good, I wish I'd attended a course! Having attended Paul's two-day plastering course I can highly recommend it to the keen novice. I have no background in building, apart from a bit of DIY, but found the course extremely useful. Paul does exactly what he says on the website. Learn to plaster from day one. Brilliant!!! Fantastic teacher. I attended the two day course on the 6/7 June and I have already skimmed two walls with fantastic results, and I am now confident and looking forward to plastering my hall and stairs. Paul I really can't thank you enough. I wanted to thank you very much indeed for a top quality day in the (previously) dark art of plastering. I now have much more confidence and knowledge to tackle some jobs on my own, all thanks to your very detailed and learner-friendly course. You looked after me a treat (endless cuppas and chocolate) and the content and pace was spot on. Many thanks once again, and if ever you need a referral for folk wanting to know more about the course, please use me / contact me and I'd be happy to help. Online Plastering School Member. Learn how to plaster in you own home - with the use of videos, information pages and support from an instructor with 30 years plastering experience. 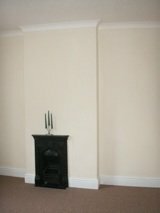 The DIY Plastering Video - not just any video - but a whole package of support to get you plastering. 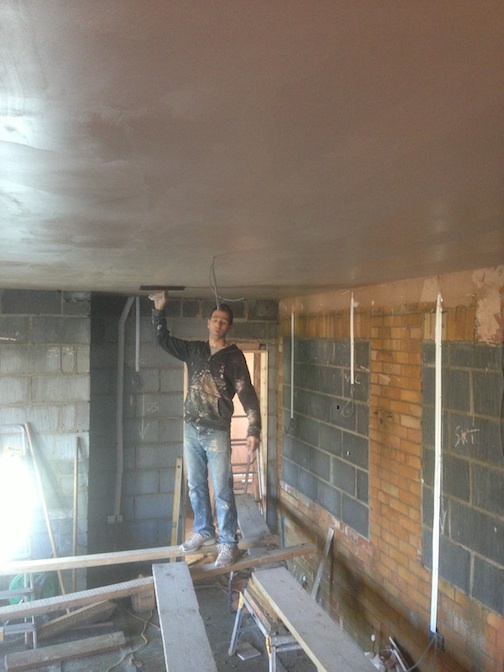 1:1 individual Instruction personalised Plastering course in Bedford, North of London. Learn how to plaster quickly and easily for working on your home or to improve your skill. all about plastering including things that crop up in my day to day work, that I think may be of help to anyone wanting to find out a bit more about plastering. Free how to plaster step by step guide . About DIY Plastering. 1:1 tuition, personalised course - the most effective way to learn quickly and easily. 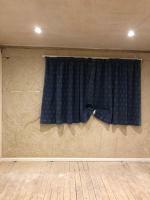 Diy Plastering Contact Details - Diy Plastering, Willow Barn, Renhold, Bedford MK41 0LA. Contact name Paul Harper. Plastering Courses, video, free online guides and dvd. Fred's Plastering Tip (Loading Trowel) A Student demonstrating his own technique! Another way to load plaster onto the trowel. The advantage of this method is that it will stay on your trowel and not slide off - enabling you to place it in any position on the wall and reducing the amount of plaster that is dropped.